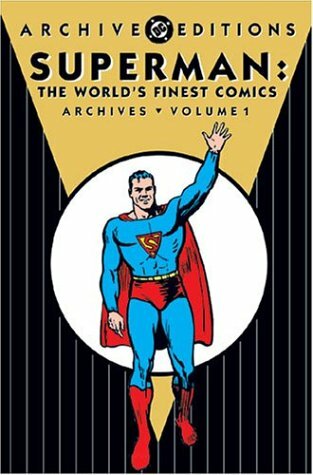 A hardcover Archive Edition collecting the first 16 adventures of Superman from WORLD'S FINEST COMICS, virtually all of them unseen for over 60 years! This volume features the first appearance of Metallo as well as early appearances by Perry White and Jimmy Olsen. A hardcover Archive Edition collecting the first 16 adventures of Superman from WORLD'S FINEST COMICS, virtually all of them unseen for over 60 years! This volume features the first appearance of Metallo as well as early appearances by Perry White and Jimmy Olsen. Plus, an introduction by movie producer Michael Uslan (BATMAN: DETECTIVE No. 27). For more information, see the feature article.